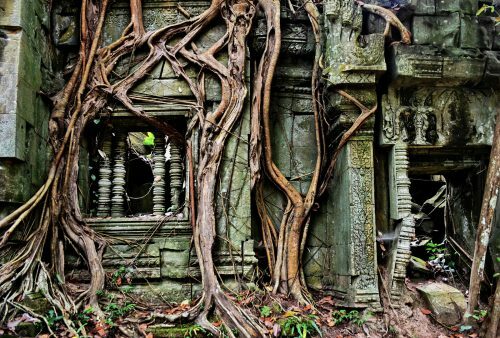 You can find an ancient Khmer temple marked on a map or dig one up on Google – Cambodia is covered in Angkorian and pre-Angkorian ruins – but for only a tiny fraction, notably, the most famous ones, will you find any accompanying images or explanations. Discovering what these sites are actually like on the ground then is, to say the least, hit and miss. Even the small and remote sites can be picturesque if not spectacular or can reveal some well-preserved carvings or a remarkable architectural feature while others are at the end of the day just an underwhelming pile of bricks. Prei Khmeng. A genuine 7th-century pile of rubble! 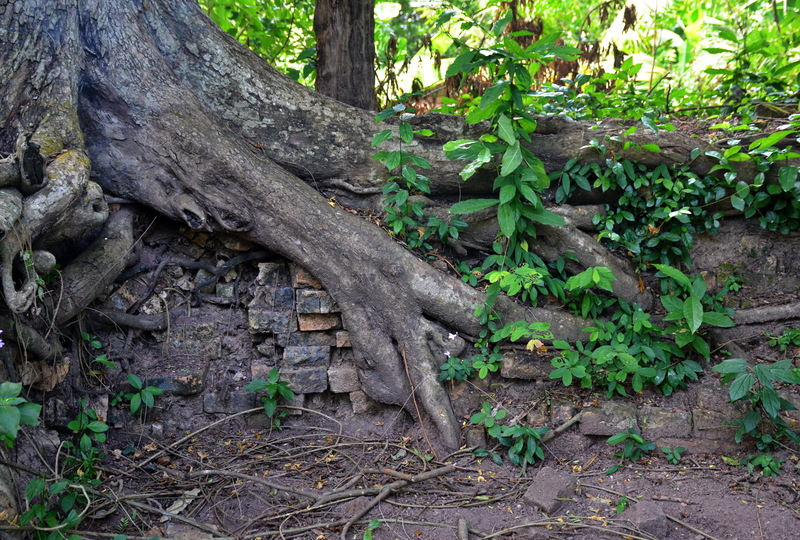 After exploring the wonderful Banteay Ampil on a previous trip we set out with somewhat lower expectations for the ruined temple site of Prei Khmeng which we’d located in the eponymously named village just to the west of Siem Reap’s huge West Baray. There’s virtually zero information to be found on the internet or in reference books and we couldn’t find any photos anywhere so, though that wasn’t a promising sign, this obscure temple had after all give its name to an entire style of pre-Angkor architecture. 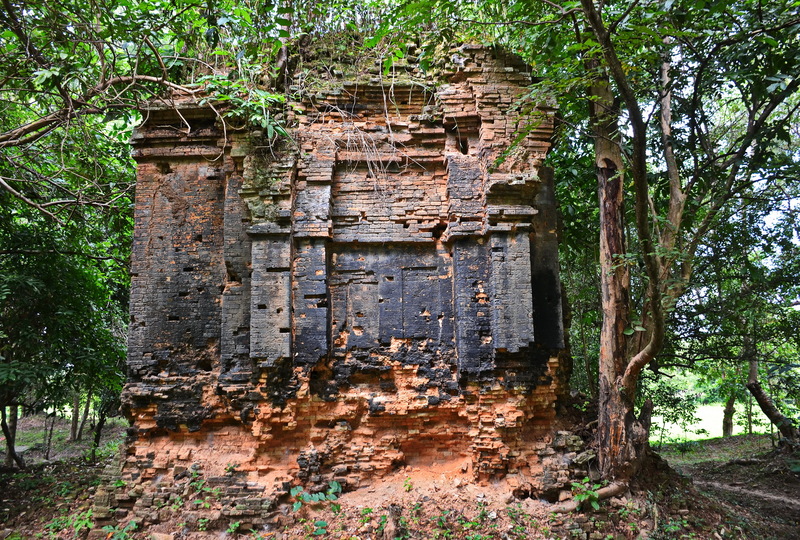 Prei Khmeng style is the name given by archaeologists to the post Sambor Prei Kuk, but pre-Kulen period dating from 635 to around 700 CE. Prasart Prei Khmeng then was probably constructed during the latter half of the 7th century and the reign of legendary King Jayavarman I and as such one of the earliest temples in the entire Siem Reap area. The architectural style is in fact based on a small collection of period sculptures rather than actual temple design and indeed outside of Sambor Prei Kuk itself, very few temples from this period remain or have been identified. 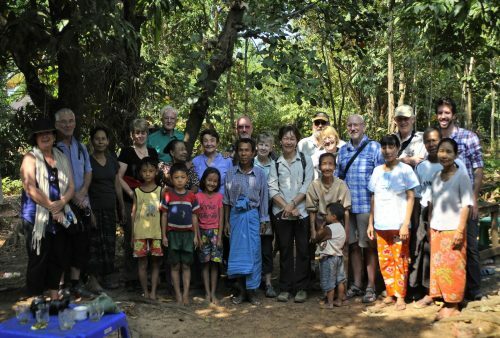 (An earlier temple on the site of Ak Yum and Kompong Tom Province’s Prasart Andet are the only other examples.) Its historical importance then does compensate to some extent for its underwhelming appearance. Underwhelming being an understatement since all that’s left – and the main reason we couldn’t find it even though we were standing 10 feet away – is a pile of earth revealing a few bricks and couple of slabs of sandstone hidden among the weeds. You need a good dose of imagination but even this pile of rubble in a villagers’ backyard would once have been a painted tower on a raised platform surrounded by a moat and an impressive sight amid the paddy-fields for the king’s subjects. Fortunately for the casual weekend explorer, another nearby dot on a map indicated the more impressive brick towers of Kok Po Temple. 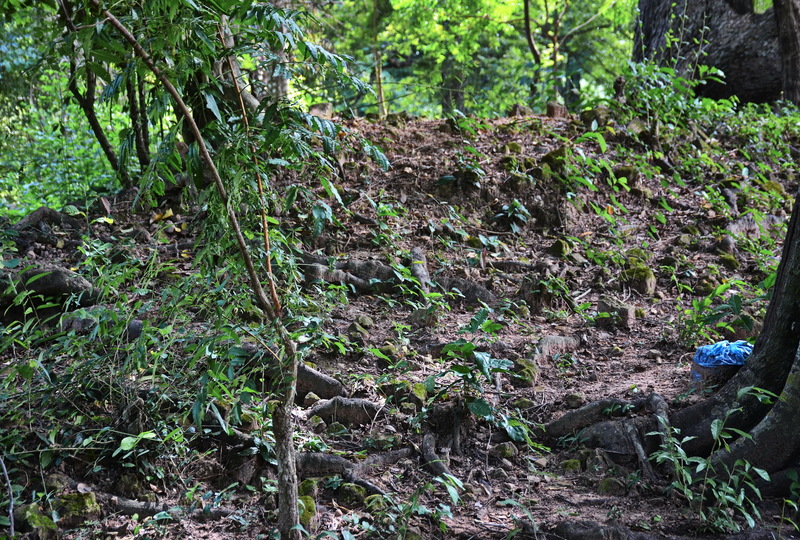 2 partly intact shrines and obvious remains of several others on another moat bordered platform indicate what originally must have been an impressive site though again almost zero information is available. A garuda lintel in the national museum purporting to originate at a Prasart Kok Po would indicate – if it’s the same Kok Po – a mid 9th-century origin and the reign of Jayavarman III who is known to have constructed other temples in that area. Another 2 or kilometres north our satellite map indicates a huge moated complex over 1 kilometre on each side going by the contemporary name of Neam Roup. The as yet unidentified, early 9th century, city of Amarendrapura is rumoured to lie in this region so as the largest site around could this be a candidate? Intriguing and definitely worthy of investigation though as we’d run out of time that’ll be for our next trip! These temples around Siem Reap’s West Baray were visited during a free day on our Cambodia Overland tour but again, anyone interested in a bit of part-time exploration, give us a shout!